This article, written by Phyllis Evans, tells the story of prison inmates who are enrolled in Seminary classes taught at the prison by professors and students from Golden Gate Baptist Theological Seminary. In order to write the article, Phyllis had to receive clearance to visit San Quentin twice, first so that she could interview the graduating inmates, and then to attend the graduation ceremony, interview relatives, and take photos. The article was published online by the national wire service Baptist Press, and subsequently published in newspapers around the country. 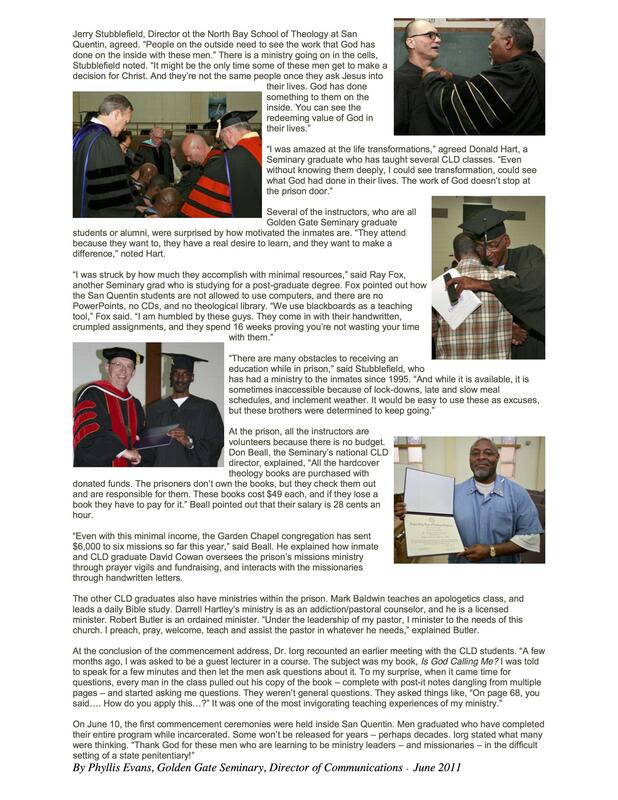 It also appeared on the Seminary’s website and the Seminary’s alumni and friends magazine.